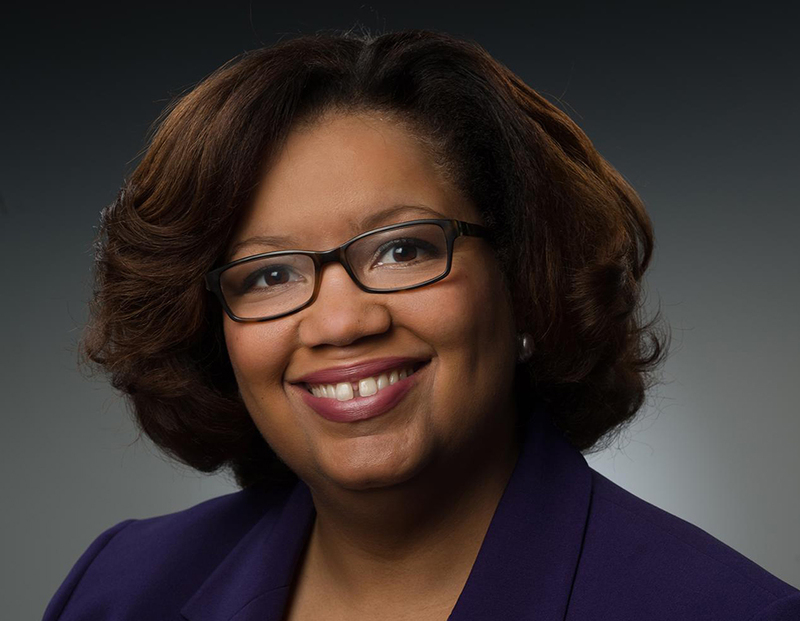 Lynette Clemetson '10 is the Charles R. Eisendrath Director of Wallace House, home of the Knight-Wallace Fellowships for Journalists and the Livingston Awards for Young Journalists at the University of Michigan. She is a Knight-Wallace alum and came to the university from National Public Radio where she was Senior Director of Strategy and Content Initiatives, guiding projects across broadcast, digital and events. Lynette spent several years as a magazine and newspaper reporter before moving into media strategy and leadership. In addition to her work as a domestic correspondent for The New York Times and Newsweek magazine, she was also an Asia correspondent for Newsweek based in Hong Kong. A former Director of Content Strategy at Pew Center on the States, she was also founding managing editor of the website TheRoot.com. Lynette has a passionate interest in sustaining journalism in a variety of forms and supporting journalists in the pursuit of their craft. Birgit Rieck is Associate Director for the Knight-Wallace Fellowships and manages daily activities, seminars, workshops and news tours for the fellowship program. Birgit came to Wallace House in 2000 to manage the Livingston Awards for Young Journalists and plan outreach events for the Knight-Wallace Fellowship program. In May 2004, she moved across the hallway to work with the Knight-Wallace Fellows. Before coming to Michigan, Birgit studied anthropology (Latin American studies) and English literature at the Rheinische Friedrich-Wilhelms-University in Bonn. She was awarded a master’s degree in cultural anthropology (African studies) and education from Johannes-Gutenberg-University in Mainz after completing fieldwork in Uganda and Rome. She also finished a two-year management training with InterContinental Hotels Group in London. Birgit worked as a reporter and program host for Stadtradio Karlsruhe, one of the first privately owned radio stations in Germany. There, she covered the Federal Court of Justice, the U.S. Smiley Barracks and the (then) first-league soccer club Karlsruhe SC and hosted a weekly program about contemporary literature and music. As a freelance writer, she covered the 1993 U.S. Cup, including reporting on the first international soccer game (Germany vs. England) played indoors on grass at the Pontiac Silverdome near Detroit, Michigan - only 50 miles from Wallace House. Melissa Riley is Program Manager for the Livingston Awards for Young Journalists and the Wallace House Presents event series and Communications Manager for Wallace House. She manages all aspects of the Livingston Awards, plans outreach events for Wallace House and oversees marketing and communications for all of the Wallace House programs. Melissa began her career in marketing and advertising for Trans World Airlines. She worked as a production coordinator on commercial films and television advertisements and was a producer at "Saturday Night Live." She founded the television production department for the BBDO advertising agency in Moscow, Russia, which grew to be the most award-winning creative agency in Russia. A native of California, Melissa graduated from the School of Journalism and Mass Communications at San Jose State University. After living overseas, in Russia, Israel and Malaysia, Melissa is happy to call Ann Arbor her home. Patty Meyers-Wilkens joined the Wallace House staff in 2007. For 10 years she worked as a reporter, columnist and editor for a 100 plus year-old family-owned weekly newspaper in southeastern Michigan. Originally from New York and a graduate of Rutgers University, she moved to Michigan with her young family back in the late 1980s. The family is no longer young and she and her husband live in a little log cabin on a lake in the beautiful Irish Hills area of southeastern Michigan. Mary Ellen Doty manages the finances at Wallace House. Before coming to Wallace House in August 2003, Mary Ellen was the office manager for the Housing Bureau for Seniors in Ann Arbor. She did accounting work for the Daniel L. Bowers Company in Rochester Hills. Mary Ellen has a B.A. in social work from the University of Michigan and took graduate courses in accountancy at Walsh College. Joey Mastro joined the Wallace House staff as the Marketing and Engagement Associate in February 2019. Prior to arriving at Wallace House, Joey was the Communications Specialist for Anesthesiology at the University of Michigan Medical School. In addition, he held multiple positions within membership and development at Detroit Public Television, Detroit’s PBS affiliate station. Joey has a B.A. from Michigan State University and an M.A. in arts administration from Eastern Michigan University. Maggie Sadler supports the director and staff of Wallace House. An efficient multi-tasker, she assists with activities, schedules and hosting for all Wallace House programs. In addition to her duties at Wallace House, Maggie writes, blogs, and edits online content as a freelancer. Prior to making her start in the professional world, Maggie studied comparative literature and English literature at the historic University of St Andrews in Scotland. Her work in reception studies with special focus on folk and fairy tales, notably her dissertation on William Goldman’s novel "The Princess Bride," earned her the respect of her tutors for her unorthodox yet astute approach to literary criticism. Maggie aspires to one day earn her doctorate in English literature with a concentration in maritime folklore. For now, she is eager to broaden her career experience in such an engaging environment as Wallace House. Travis Holland has been leading writing workshops at Wallace House since Fall 2008. He is the author of “The Archivist‘s Story,” and a contributing editor at Fiction Writers Review. In 2007, “The Archivist‘s Story” was listed among the best books of the year by Publisher's Weekly and the Financial Times, and was a Guardian Readers’ Pick. He is the winner of the 2008 VCU Cabell First Novelist Award, and was a finalist for the 2009 Impac Dublin prize. His stories have previously appeared in Ploughshares, Five Points, and The Quarterly. HOW TO ENTER Entries are now closed. Your privacy is important. We do not share your information and you can unsubscribe at any time.